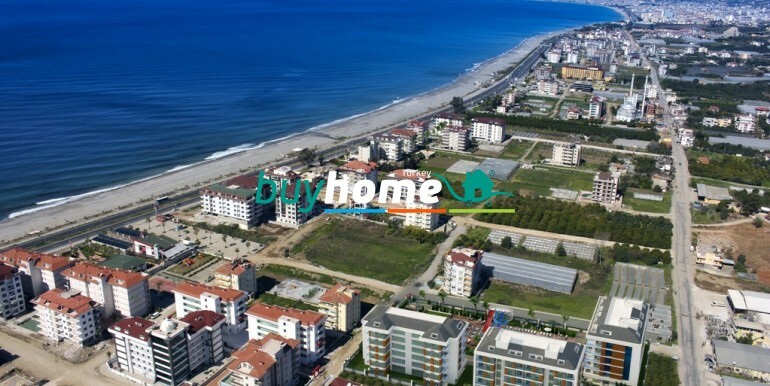 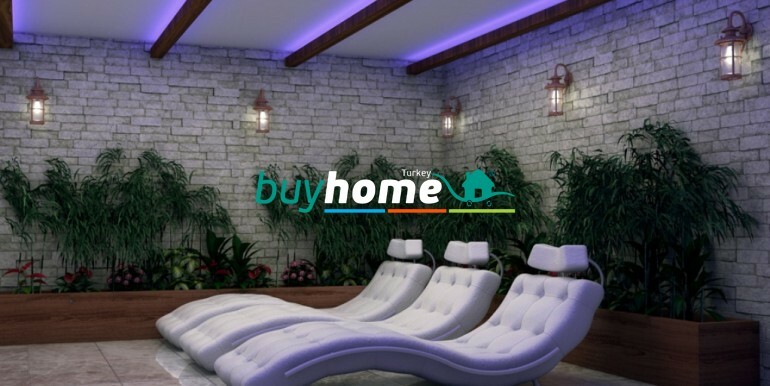 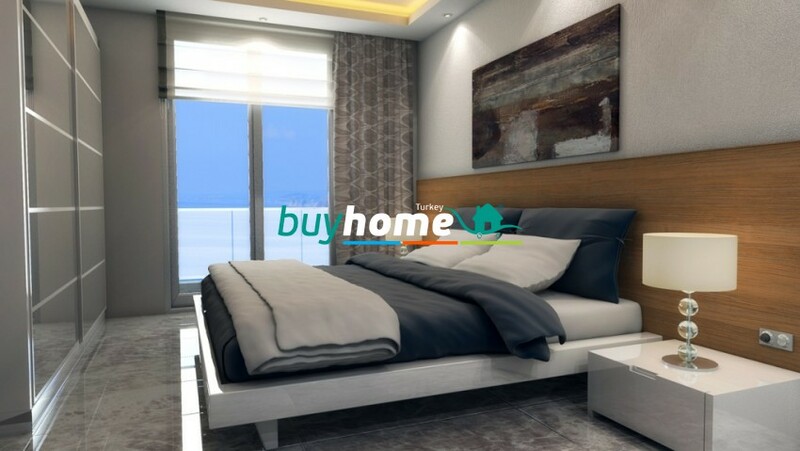 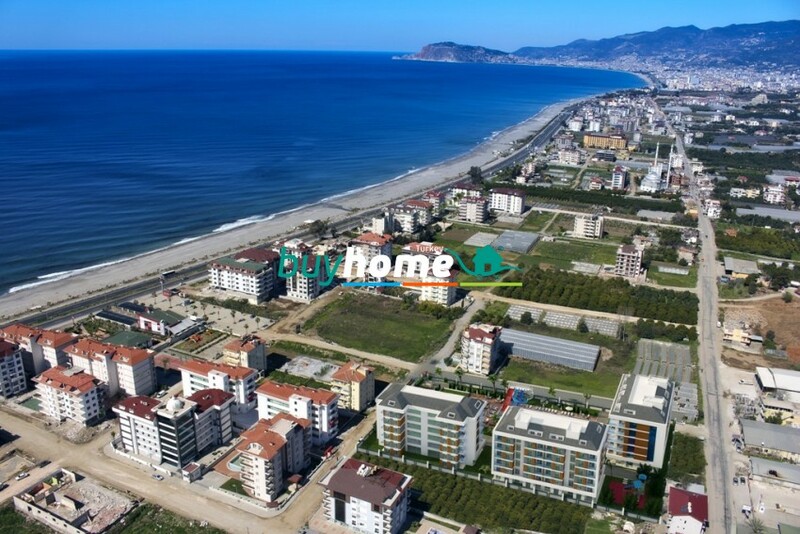 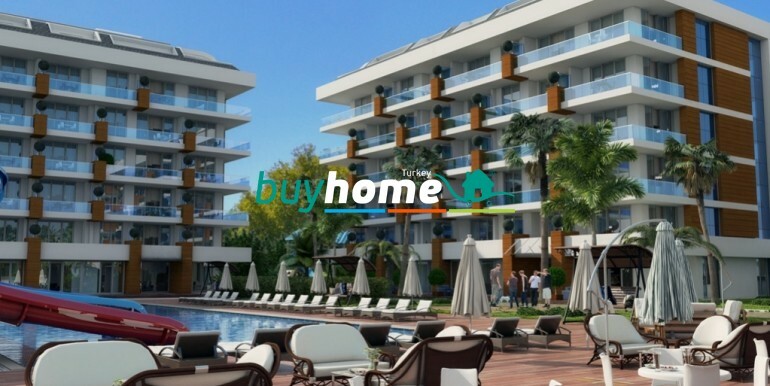 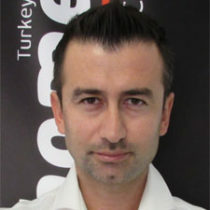 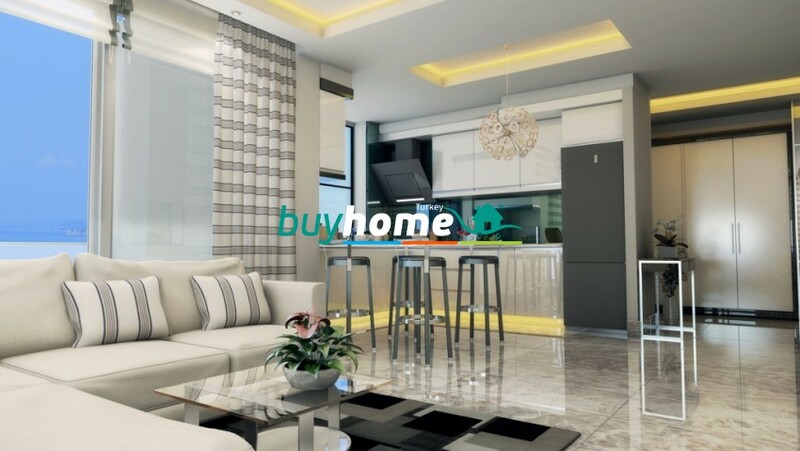 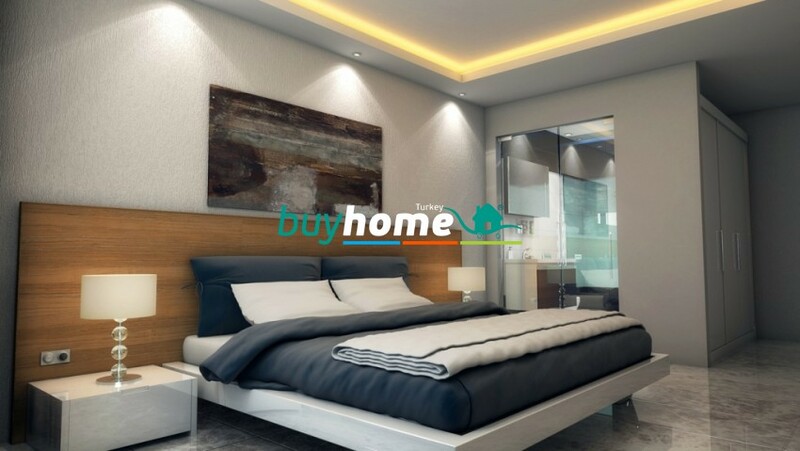 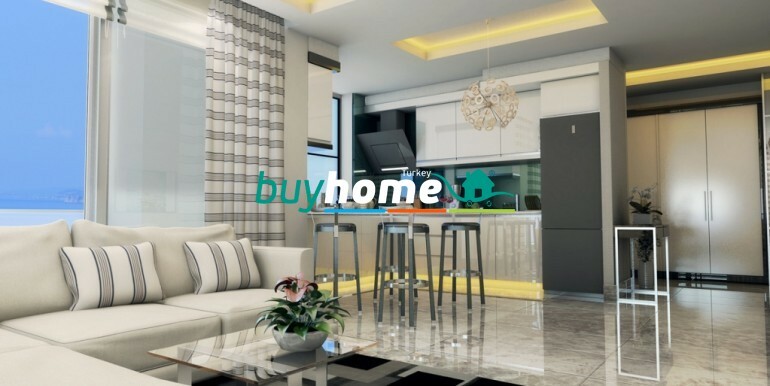 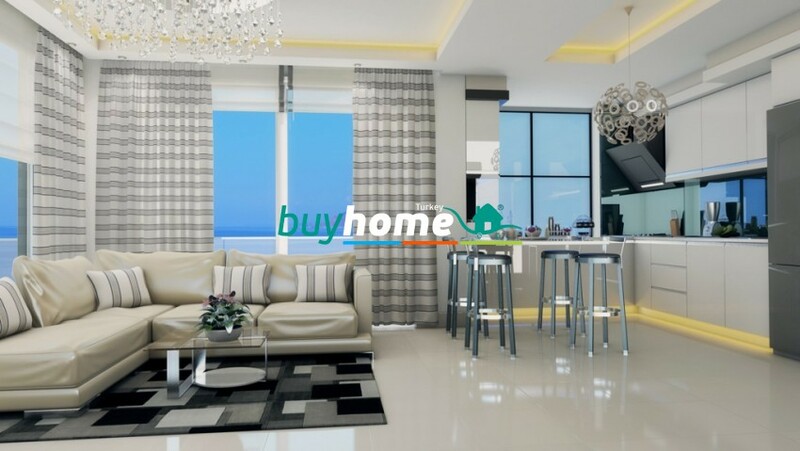 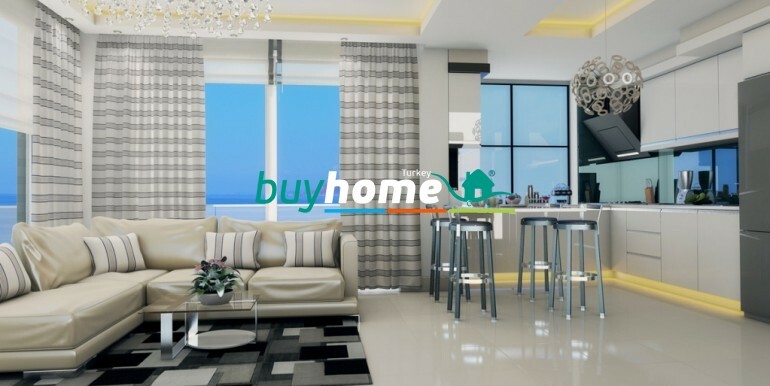 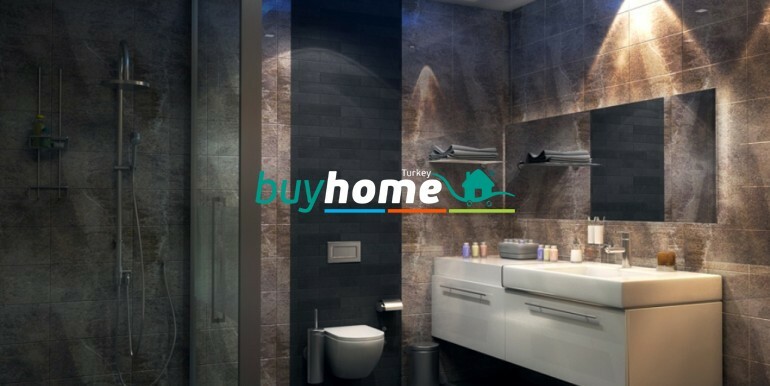 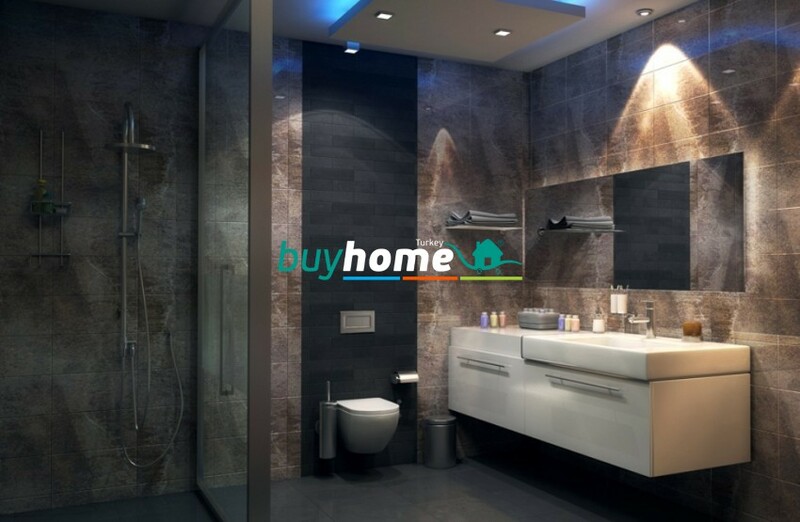 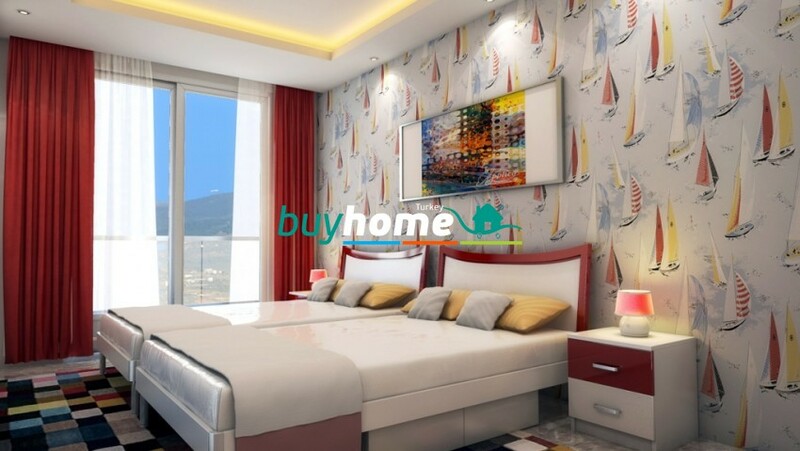 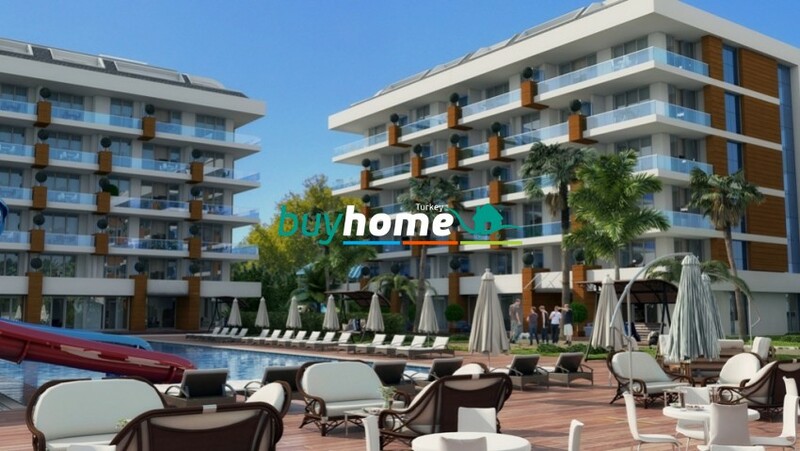 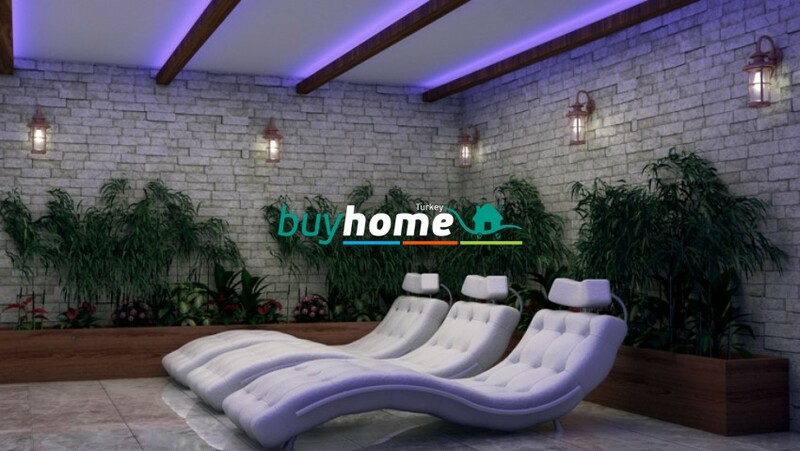 BH RISING BLUE ALANYA | Your real estate agent in Turkey.Rent Apartment in Alanya. 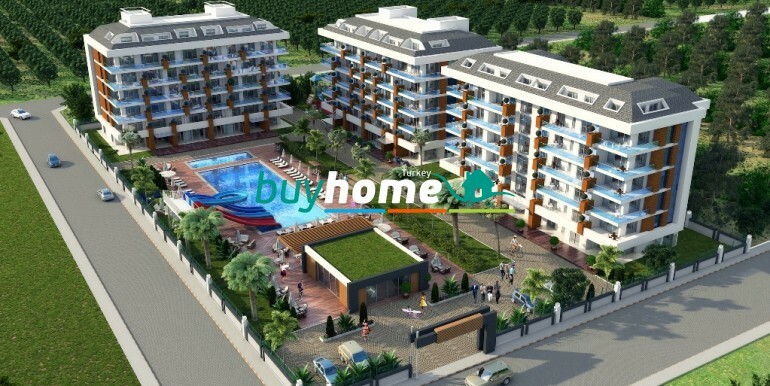 Complex comprises 3 main apartment buildings with 89 units in total. 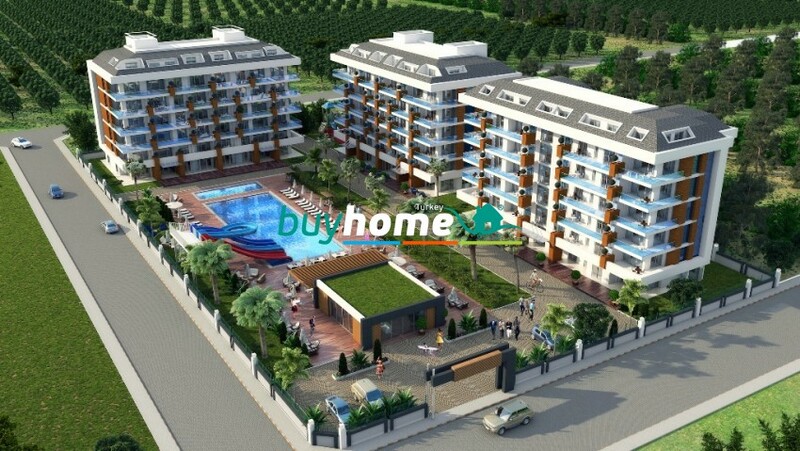 There is a variety of different apartment types on the complex and all are designed to suit your personal needs and expectations. 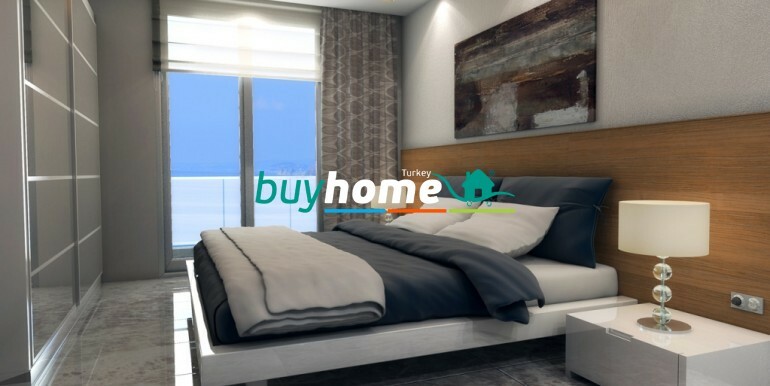 From large studio apartments to 4 bedroom Duplex Penthouses, there is enough choices for everyone. 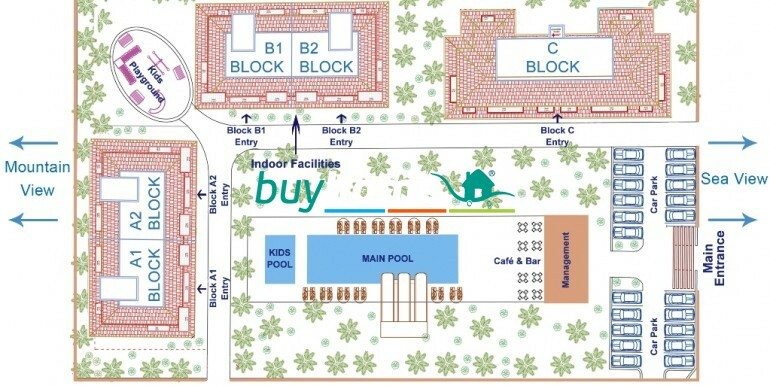 The complex has a very large outdoor pool and water slides with a very large sun bathing terraces around the pool. 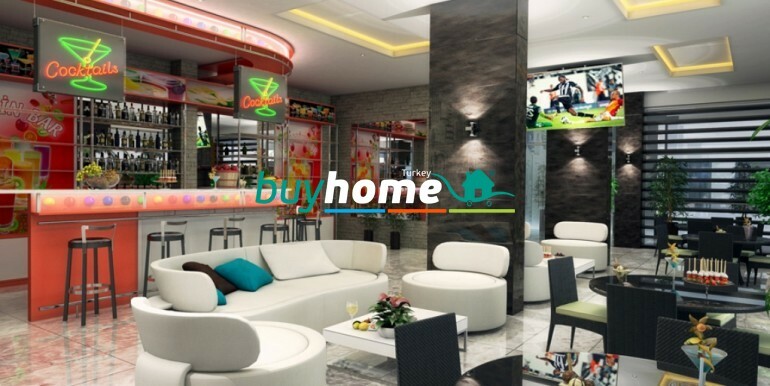 Not to forget the pool side Café & Bar where you can get away from the sun for a bit to enjoy refreshing drinks and cocktails. 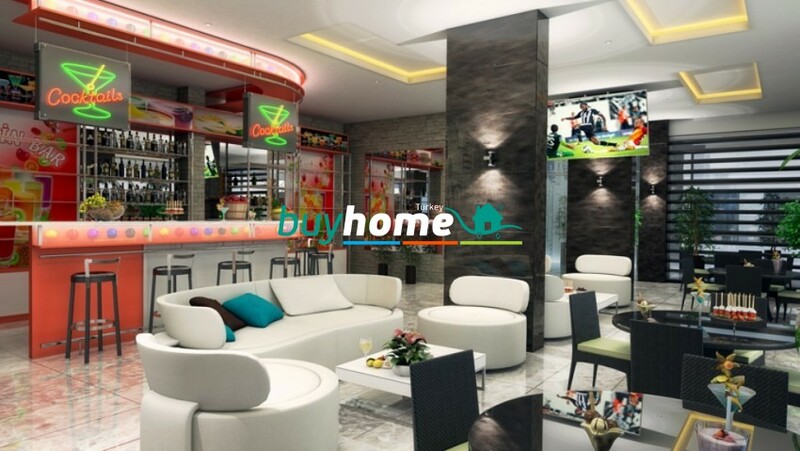 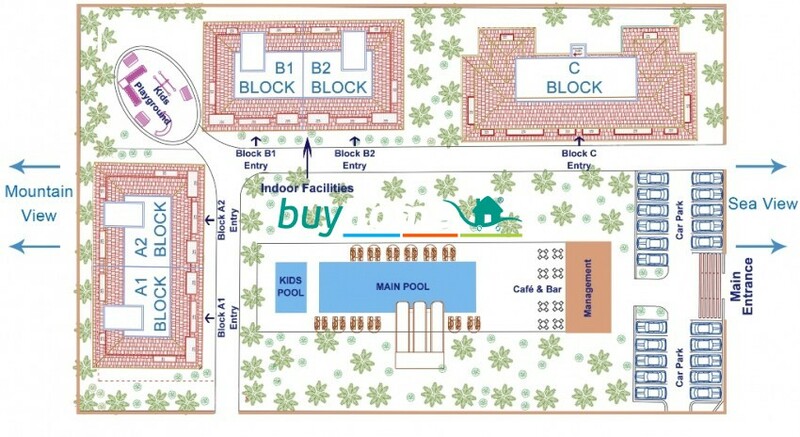 Indoor facilities include a Reception Area, a very spacious Bar & Restaurant Area, 9D Cinema Suit, Turkish Bath, Sauna, Massage Rooms, Relaxing Area, Male & Female Changing Rooms, Shower Rooms, Bathrooms and many other features. 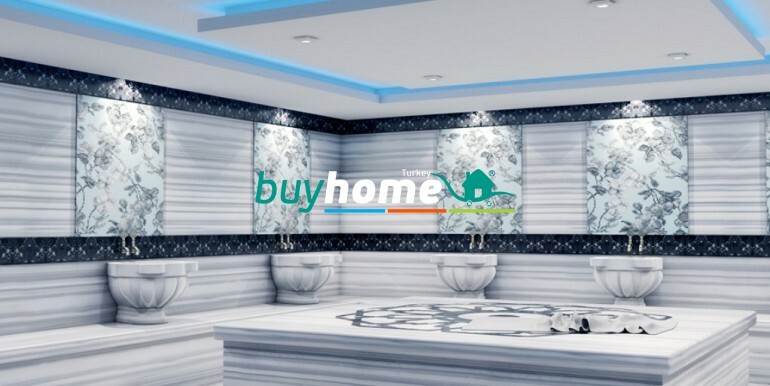 High quality marbles throughout the windows and doors areas.